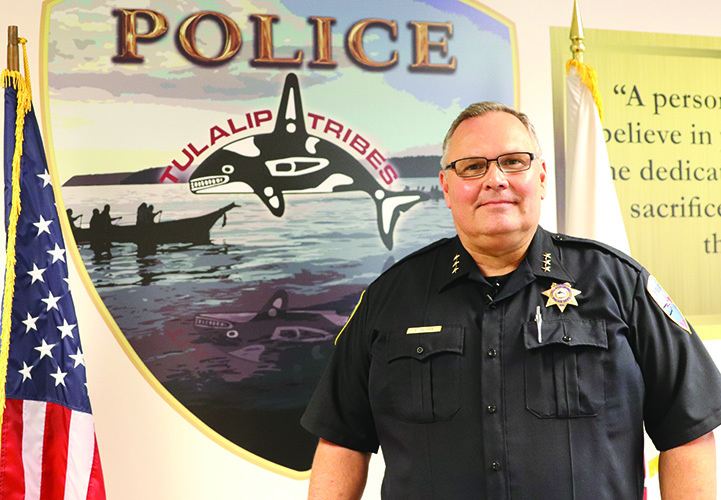 TULALIP – Due to jail reforms meant to eliminate overcrowding and prevent offender deaths due to medical issues, the Tribe will be spending more than it did in 2014, to book and jail offenders arrested by Tulalip Police Department come 2015. The Tulalip Tribes passed a motion to adopt resolution 2014-445, approving contracts with the Marysville and Snohomish County jail facilities for 2015, during the October 4, 2014, regular board meeting. This means Tulalip will continue to use the jail facilities to house Tulalip tribal members who commit crimes on the Tulalip Indian Reservation, along with adapting their budget to reflect the increase of jail costs. Beginning next year it will cost the Tribe $43 to book an offender into the Marysville Police Detention facility and $65 for a daily housing fee. The facility has a 57-bed capacity and services the cities of Marysville, Lake Stevens and Arlington in addition to Tulalip, making space limited and competitive. To house offenders at Snohomish County Jail, located in Everett, the Tribe currently pays a $95 booking fee and a $66 daily housing fee. In 2015, this will increase to $115 booking fee and $84 daily housing fee. However, the rates for Snohomish County, the most expensive jail facility the Tribe currently uses, depends on the offender’s physical and mental stability when they are booked, determined by the jail staff during the booking process. According to Echevarria there are three tiers Snohomish County uses to classify offenders. If an offender is mentally and physically stable enough to be housed in general population, then it will cost the Tribe $84 a day come January 2015. If the offender requires medical supervision or medication while incarcerated, then the Tribe will pay a $132 daily housing fee. For offenders requiring mental housing units, it will cost $201 daily. Due to increased jail costs, police departments are reassessing how jails are being used. Cities are responsible for booking and housing costs on misdemeanor arrests, while counties pick up the tab for felony offenders. Tulalip Tribes pays 100 percent of the cost out of the Tribes’ hard dollar budget. Unlike cities who have a budget stemmed from tax payers, the Tribe must project each year how much to set aside. To help keep jail costs from skyrocketing, alternative-sentencing programs are used, such as the Tulalip Tribal Courts Elders Panel, for first-time non-violent offenders. Instead of lengthy jail sentences offenders are asked to complete community service or volunteer within the community along with other requirements.